Red wine can help stop gum disease ? Do not get carried away and rush to the store to by a more red wine …Chemicals in red wine may help prevent and treat gum disease, according to a study conducted inCanada. The participating scientists believe the polyphenols in the drink can block production of free radical molecules, which, at high levels can damage gum tissue. The research, by Quebec’s Université Laval, was presented to the American Association for Dental Research. However, dentists are warning of the other risks associated with drinking wine, and are keen to discourage people from thinking it is beneficial to their teeth. ( red wine is acidic and therefore promotes tooth decay.) The Canadian study suggests that polyphenols prevent the production of free radicals by subtly changing the composition of proteins within the cells that control their release. A major cause of teeth loss for millions of people all over the world is periodontitis, which destroys gum tissue. To maintain healthy gums, it is considered important to keep free radicals at low levels, to prevent them from damaging the tissue. The bacteria that cause gum disease are believed to do so by stimulating immune cells to increase their free radical production. Earlier studies have suggested that the polyphenols present in red wine may help to reduce inflammation, and may have the potential to reduce the risk of cancer and heart disease. Dental experts in the UK are willing to accept that polyphenols can prevent worsening of the inflammation, but many have expressed doubts about their ability to block inflammation altogether. According to Professor Liz Kay, scientific adviser to the British Dental Association, (BDA), ‘This would not appear to show that red wine actually prevents periodontal disease. The sure way of doing so is to keep your mouth perfectly clean. That is achieved by brushing twice a day with fluoride toothpaste.’ Leigh Greenwood, of the British Dental Health Foundation (BDHF), said that people should not be under the impression that drinking red wine is good for their teeth. ‘It is important to remember that the acidic content of red wine could cause other problems, such as dental erosion,’ saidGreenwood. In America,April is National Cancer Control Month, and you might not be aware of the fact that incidences of oral cancer are on the rise. Few people think about oral cancer, but it kills more people every year than brain cancer, cervical cancer, and testicular cancer put together. But the more you learn about oral cancer and its signs and symptoms, the better able you’ll be to get an early diagnosis and more effective treatment should oral cancer happen to you. Oral cancer responds very well to treatment in the earliest stages. The risk factors for oral cancer include smoking and chewing tobacco use, excessive alcohol consumption, and human papillomavirus (HPV), although some people develop oral cancer despite having none of these risk factors. It is believed that genetics, too, plays a role in the development of cancers, including oral cancer, as well as dietary factors. Because there are so many various contributing factors, everyone should get checked by their dentist for oral cancer at their dental checkups. A flat, painless, white or red spot or sore. A sore that bleed easily or does not heal. It can be hard to see every spot in your mouth clearly, which is where your dentist comes in. He or she can take a look at any questionable areas and alert you if there’s a potential problem. Waiting until the symptoms become extremely obvious means wasting valuable treatment time that could save your life. 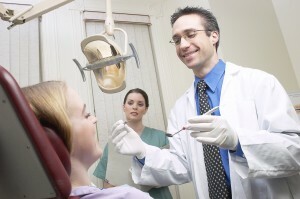 So why not make an appointment at the Harrow Dental Centre for a dental eamaination? We ensure that every examination inludes a review if your teeth and gums and Jaw joint and a multipoint assesment of the soft tisues of your face ,lips and mouth. Set your mind at ease knowing that you’ve gone the extra mile for not only your oral health, but your overall health, too! Conventional wisdom assumed losing your mental edge was just part of aging, but that may be incorrect. Scientists believe working out your brain — just like you would your body to keep in shape — could ward off the dulling of mental faculties and strengthen connections between newly-generated brain cells, which people make throughout life. Use it or lose it. Neurobics may help maintain your mental reserves and ensure you’ll keep your mental edge clear into your elderly years. It’s like cross training, and researchers have found it’s never too late to start, even in people who have some degree of dementia. “Good MorningAmerica” medical contributor Dr. Marie Savard breaks down the things you can do to keep your mind in tip-top shape, and what bad habits may harm you. The thinking is that anything good for the heart is good for the brain, and we don’t do enough good things. The big things are stress, exercise, diet, and sleep, but the good news is we can make our brains better. When you think of stresses in your life, you should know that the stress hormone cortisol depresses the growth of nerve cells and the connections between them. Then there’s sleep. Time and time again, researchers emphasize the importance of a good night’s rest. It’s true. Sleep is important, because it’s when we lock down our memories and process them. So, if we’re not getting enough sleep, it’s bad for our ability to remember things. The premise of these brain aerobics or neurobics is to do familiar things, but do them slightly differently. So, a really easy thing to do is to try one of your daily activities, brushing your teeth or dialing a phone number , with your non-dominant hand. Basically, what that does, apparently, is strengthen those pathways and connections in the opposite side of your brain. Build new connections between brain cells by putting your nondominant hand into action. If you’re a rightie, use your left hand to perform daily tasks such as brushing your teeth, combing your hair, and eating. Even try to write with your other hand, too. Does using your nondominant hand become any easier over the course of the day? By using the opposite hand first thing in the morning the need to concentrate is much greater .This helps the brain to wake up , rather than doing things by learned ‘reflex’. This is just one of many different ways to keep the mind and body active. Try a safe activity, like eating or showering, with your eyes closed. That forces you to use and strengthen your other senses. Most of what your brain does is process what your senses are bringing in. So, closing your eyes forces the brain to process thatinformation in new ways. But one thing you obviously shouldn’t do with your eyes closed is drive. Games help you strategize, but the brain is particularly stimulated by multi-tasking. So, play games with other people that require you to strategize and interact socially at the same time. Examples include board, word and card games. Introducing novelty is crucial. Your brain doesn’t need anything complicated; it just needs something new. So, take a new way to work, or sit in a different seat. It forces you to look at the world from a new perspective. You want to make sure to consume brain-boosting foods or supplements. Try antioxidants in food, such as berries, tea, and leafy greens. And you also want to consume fish oils, which also come in supplements.